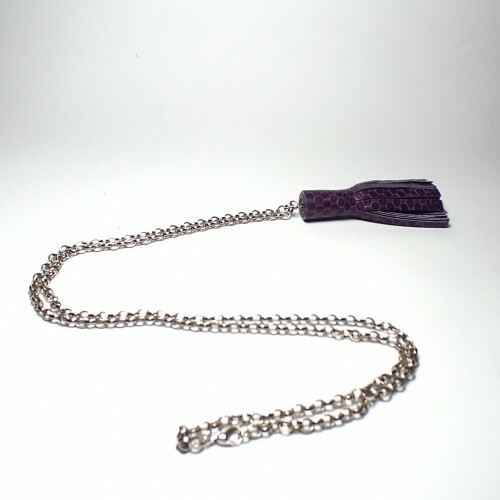 Lovely pendant that showcases the beauty of real snake leather. A perfect piece to dress up a polo neck jumper or to add a feminine touch to a crisp white shirt. The pendant is handmade of real snake leather with a sterling silver loop. These pieces are made to order. Please allow 4 weeks for delivery. Free delivery on any orders in the UK.